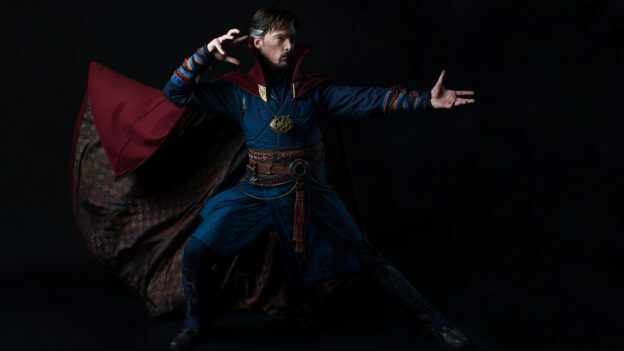 Per the Disney Parks Blog, Strange acts as an intermediary between the real world and what lies beyond, utilizing a vast array of metaphysical abilities and relics to protect the universe. Guests will soon get a glimpse into his magical, mind-bending world when he appears for the time at Disneyland! Being that Doctor Strange travels large distances in an instant by opening portals between dimensions, there’s no telling when he’s going to appear! Keep your eye out! I have been visiting Walt Disney World annually since I was 7 years old and haven't mentally left it since. Living in Arkansas, but dreaming of Orlando. You can find me at whitn[email protected] and @whitydarling on any social media channel. He’ll appear the day infinity war debuts. On the same stage that Thor and Loki did for ragnarok.